A DECADES-long wait for a sewage treatment plant in Kinvara is nearing an end. An Bord Pleanála this week gave the go-ahead for construction of the wastewater treatment plant in the South Galway village. Currently, untreated sewage is pumped into Kinvara Bay about 100m from the pier. “It has been one of the longest running sagas in South Galway but the end seems near for the development of a new sewage treatment plant for the town,” Junior Minister Ciarán Cannon commented. “This is the last major stumbling block out of the way and we are now ready to begin the preparation of contract documents and commence the tendering process. There are no really onerous conditions attaching to the grant of permission and this makes the next stage very straightforward,” he said. “I have been liaising closely with council engineers and they have confirmed to me that they will now finalise the contract documents and are hopeful that we can go to construction in the first half of 2014. They are to be congratulated on the work they have done in getting the project this far in a relatively short space of time,” he continued. Minister Cannon will also breathe a sigh of relief as he told the people of Kinvara just before the 2011 General Election that he wouldn’t run for election again if the treatment plant wasn’t delivered during the lifetime of this Government. “I made a commitment to the people of Kinvara before the last election that this plant would be delivered and I worked closely with my colleague, Minister Phil Hogan, to secure funding of €5.2m for the project. It was never acceptable to pump thousands of gallons of untreated raw sewage directly into one of the most beautiful bays in Ireland and I couldn’t allow this to continue. We are now close to the end of a long and sometimes frustrating journey,” concluded Minister Cannon. 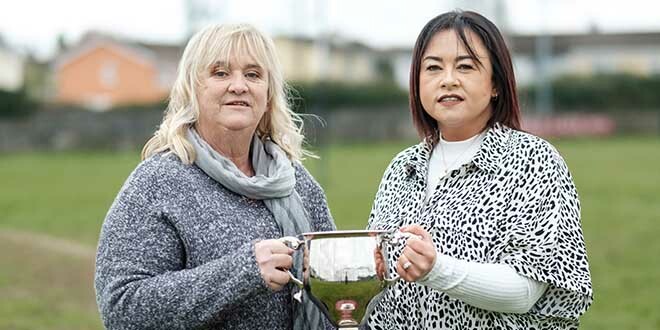 Galway senator Lorraine Higgins described the plant as “a very necessary piece of infrastructure for the people of Kinvara, who have been waiting far too long for this wastewater treatment facility and I am particularly happy that this Government has delivered on it”. “I remember at the time of the general election the lack of such a facility was constantly brought up with me on the doorsteps in the town and, as a consequence of this, after being elected to the Seanad I made it a priority of mine and raised it on numerous occasions with the minister,” she said. 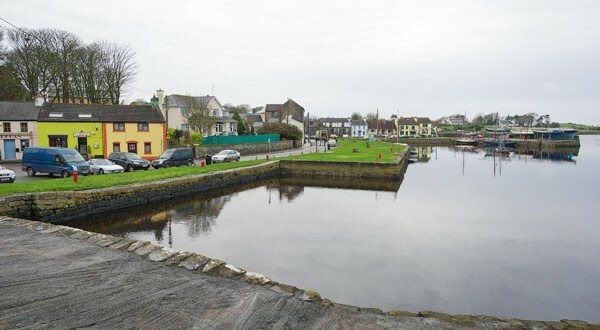 Kinvara’s population was 1,356 in 2010 and the proposed wastewater treatment plant will initially be designed for a capacity of 1,750 and will provide a primary and secondary treatment. An Bord Pleanala gave permission for the project subject to eight conditions.